Buy Cheap RWS 2137509 HyperVelocity .177 cal. Airgun Ammunition |ReplicaAirguns.ca | Easter Weekend Sale! Comments: RWS Hyper Velocity pellets produce ultra-high velocities in all medium powered air rifles. 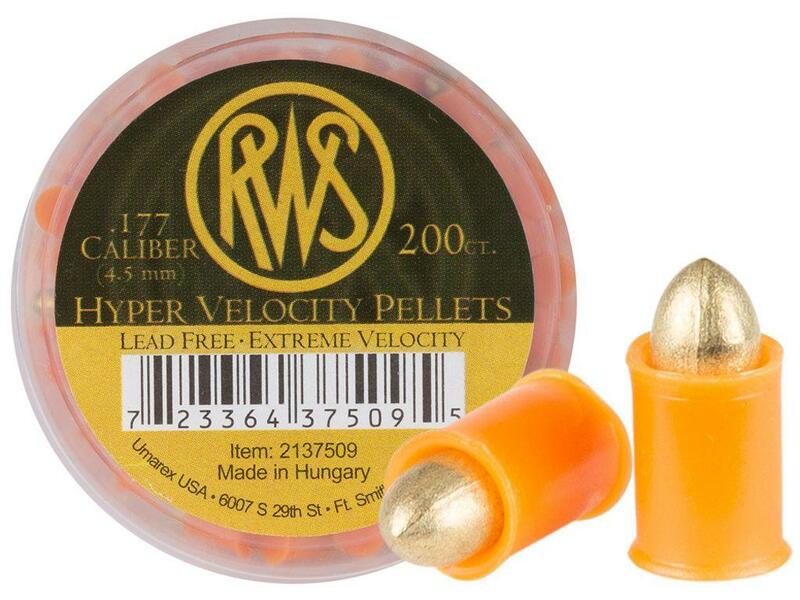 RWS Hyper Velocity Pellets sit inside a plastic sabot that provides a snug barrel fit for optimum velocity and accuracy from your air rifle. These lead free airgun pellets will not produce lead particles in the air, in your air rifle barrel, or leave lead residue on your fingers.